Dr. John Cranham, a highly respected dentist in Chesapeake, VA, recently spoke on treatment planning for worn dentition at the Thomas P. Hinman Dental Meeting. Dr. Cranham is an expert in restorative dentistry and invites patients who need restoration work to visit his state-of-the-art practice. 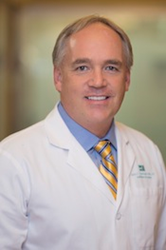 Renowned dentist in Chesapeake, VA, Dr. John Cranham recently spoke at the Thomas P. Hinman Dental meeting sponsored by the Hinman Dental Society. Dr. Cranham is highly experienced in improving smiles through cutting-edge restoration dentistry techniques. Dr. Cranham’s level of expertise is highly respected in the dental industry, and those who attended the recent Thomas P. Hinman Dental Meeting were pleased to hear him speak on treatment planning for worn dentition. The very first Thomas P. Hinman meeting was held in 1912 and was the first clinic of its kind. It is now held on an annual basis and is sponsored by a non-profit organization called the Hinman Dental Society. In 2016, the meeting was attended by nearly 20,000 dental professionals who came from all 50 states as well as countries outside of the United States. Dr. Cranham has been performing various dental restoration procedures on patients for years, and has seen firsthand how effective those treatments can be in improving confidence and restoring functionality. Patients who could benefit from dental restoration work include those with severely crooked teeth and teeth that are in the wrong positions in the mouth. Individuals who have functional and cosmetic dental issues may experience sore joints, worn teeth, broken teeth and other unpleasant symptoms if treatment is not received. Dr. Cranham seeks to treat common functional dental problems by focusing his efforts on the cause rather than solely trying to reduce the symptoms. As a trusted dentist in Chesapeake, VA, Dr. Cranham enjoys providing restorative dentistry to patients who need it. Individuals with functional or cosmetic dental problems are encouraged to schedule consultations with his practice and find out what types of treatment are recommended.